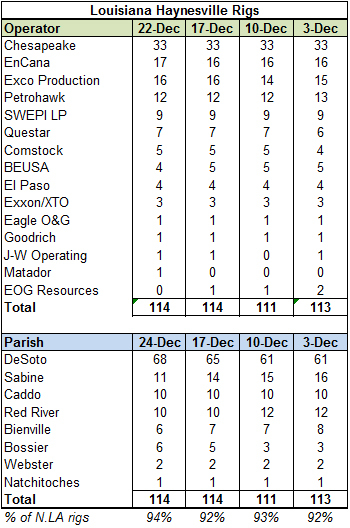 The weekly Haynesville Shale rig count increased by two working rigs for the second straight week, ending at 161. 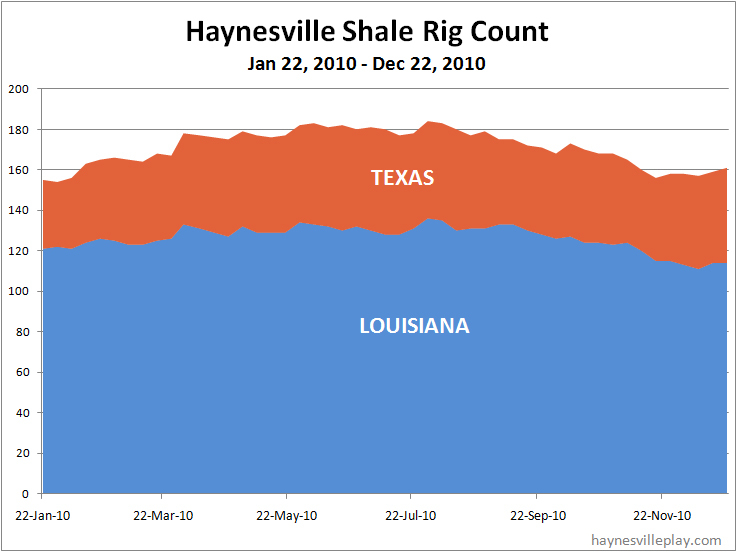 Louisiana held firm at 114 while Texas added two rigs to 47. 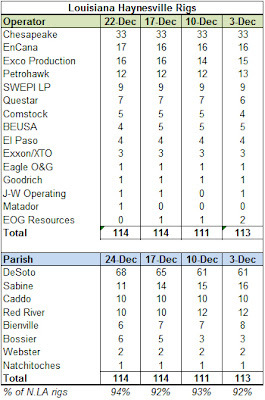 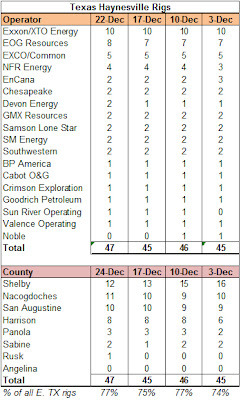 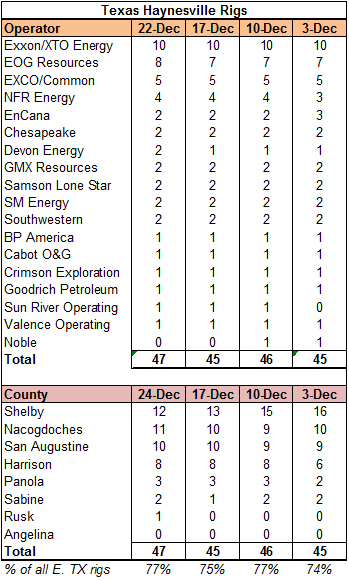 The count is up five rigs from its recent trough in mid-November at 156 rigs.